While many of the films vying for the upcoming 2018 Oscars are based on a true story, there’s at least one real person depicted onscreen this year who has no interest in speaking about the film they’re (sort of) featured in. It’s been nearly a quarter century since the 1994 Figure Skating Championship incident, in which competitor Nancy Kerrigan was attacked following a practice at the championship arena in Detroit, but a new buzzy film is giving the situation new time in the spotlight. 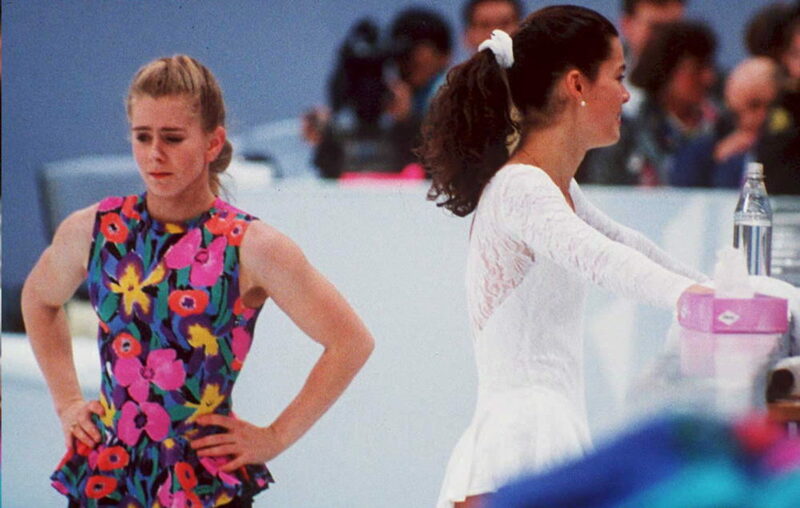 While Tonya Harding, Kerrigan’s top competitor for a spot on the 1994 Olympic team, has been long seen as complicit in the incident — her ex-husband and bodyguard were convicted of the attack — her lifetime ban from figure skating was the result of hindering the police investigation into the attack. However I, Tonya, a top awards season contender, offers a more sympathetic view of Harding (played by Margot Robbie), delving into her allegedly difficult upbringing and offering up a somewhat alternative view of her role in the incident. But Nancy Kerrigan, who is briefly portrayed onscreen by Caitlin Carver, has not only not seen the film, she didn’t watch the Golden Globes — in which Harding made an appearance — either. She also has no real interest in reliving what we’re sure was a devastating time in her life. Following the attack — which led to Kerrigan withdrawing from the championship because of her injuries — the two were named to the Olympic team for the 1994 Lillehammer Games, where Kerrigan won silver and Harding placed eighth. In the wake of I, Tonya‘s success, Harding has been promoting the film alongside the cast, speaking with reporters about her side of the story, as well as appearing to now remember her ex-husband Jeff Gillooly (played by Sebastian Stan in I, Tonya) mentioned “taking someone out” prior to the attack for a new ABC special about the incident. But while Kerrigan’s name will be forever associated with the incident, she told The Boston Globe that it’s weird that the story continues to endure years later. We totally understand Nancy Kerrigan wanting nothing to do with the film. The incident likely involves traumatic memories for her and she clearly seems to have moved on from it. While her presence certainly looms large over I, Tonya, Kerrigan’s lack of interest in reliving the 1994 attack is something we should all respect.